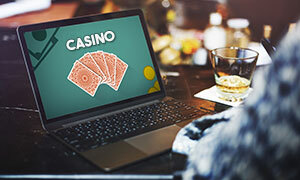 Kaboo is a respected online casino operator that takes players on an unforgettable gambling adventure by offering them an extensive portfolio which comprises over 700 enticing games that are courtesy of some of the leading software suppliers in the industry, such as NetEnt, Microgaming and Evolution Gaming. The website impresses with organised and clean interface which renders navigation exceptionally easy and quick. Most of the games on offer are video slots but players can indulge much to their hearts’ content in a wide range of blackjack, baccarat, roulette and video poker variants as well. 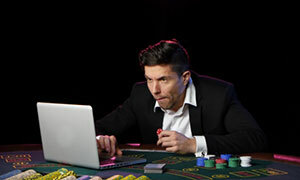 It is also possible to play against flesh-and-blood dealers in Kazoo’s Live Dealer Casino, which runs on Evolution Gaming’s state-of-the-art platform. The gambling operator strives to further players’ convenience by giving them the option to make a pick from several different currencies and a nice range of safe and time-efficient methods of payment. Players can count on the friendly support team to provide timely assistance, when needed, via the round-the-clock live chat facility. The casino is home to a unique loyalty system which involves players collecting the so-called Echoes, the reward tokens at Kaboo. Players are expected to complete various betting missions to earn bonus casino credits and collect extra spins on selected slots. Newcomers are given a good head-start with five Echoes after completing their registration and a hefty Welcome Bonus upon processing their first deposit at the casino. Kaboo Casino allows for mobile play and is highly regarded by players as a mobile casino that stands out with quick and hassle-free withdrawals. The website is compatible with portable devices running on Android, iOS, and Windows. Kaboo Casino went online in 2015 and is owned and managed by the Malta-based company Betit Operations Ltd. The minimum amount players are allowed to deposit is £10. This applies to all available deposit methods. Minimum withdrawals stand at £20 or the equivalent in other supported currencies. No deposit bonus is currently not available. New members of the casino can claim 100% Welcome Bonus of up to £50 + 1 relic on their first despot at Kaboo. Relics are gift boxes which you earn while playing at Kaboo. They contain different prices. 100% deposit bonus up to £50 valid on your first deposit and 50% deposit bonus up to £50 valid on your second deposit. Min. deposit £20 for 1 Relic, min. deposit £20 for bonus (40x wagering in 30 days) game weighting and exclusions apply, Neteller and Skrill excluded. Please check Kaboo’s full terms. 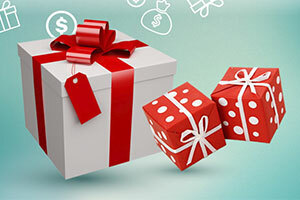 Existing players are eligible for Reload Bonuses on their following deposits and receive notifications from the casino whenever such offers are available. 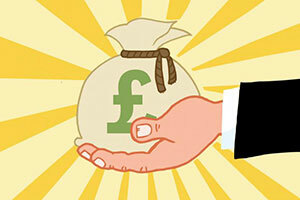 Bonus T&C apply to all reload bonuses. Kaboo’s unique loyalty programme is based on the so-called Echoes. 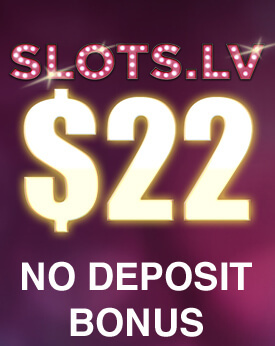 These are tokens that are earned on real-money wagers that can be exchanged either for bonus casino credits or for Extra Spins on qualifying slots. Players can also earn Echoes when depositing, in which case their tokens will be subjected to a playthrough of 10x the deposited amount. Each Echo token is equal to £0.10. The operator has teamed up with some of best-known software developers in the industry. Many of the games run on NetEnt’s software but Microgaming, Yggdrasil, NYX, IGT, and Play’n GO have also contributed to the portfolio. The games are available in Instant Play mode only. Some of the games with life-changing progressive jackpots include Hall of Gods, Mega Moolah, and Mega Fortune. The catalogue comprises over 700 high-quality slots, video poker variants, Classic and Hi-Lo Blackjack, Baccarat, European, French and American Roulette, and Oasis Poker, among other games. The Live Casino is powered by software developer Evolution Gaming and features Live Blackjack, Live Roulette and Live Baccarat, streamed in excellent quality in real time, allowing players to enjoy an authentic casino experience from the comfort of their homes. Kaboo Casino runs seamlessly on portable devices that are based on iOS, Windows, and Android. There is no need to download and install any native mobile applications – you can load as many as 150 premium slots and casino games directly in your portable device’s browser. The gambling operator accepts some of the most commonly spread payment methods out there, including debit/credit cards by Visa, Maestro and Mastercard, e-wallets like Neteller and Skrill, bank transfers, online banking by Trustly, and prepaid payment solutions like Paysafecard. Kaboo does not charge fees on players’ deposits. Players, who sign up at Kaboo, can choose from the following currencies – EUR, USD, CAD, AUD, GBP, NOK, AND SEK. The casino’s website is available in four different languages – English, Norwegian, Swedish, and Finnish. Players can contact the friendly support representatives via the 24/7 live chat facility or send an email with their query at support-en@kaboo.com. At the present moment, telephone support is unavailable. Kaboo Casino operates under licenses issued by the Malta Gaming Authority (License No. MGA/CL1/898/2013) and the UK Gambling Commission. 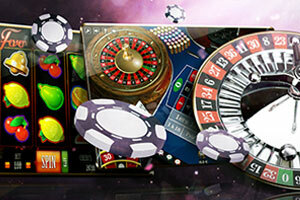 Powered by a wide range of casino software companies, Kaboo offers its members an extensive collection of games. Its gaming lobby includes titles from NetEnt, Microgaming, Pragmatic Play, Evolution Gaming, NYX, IGT, Yggdrasil, Play’n GO, and others, so players can enjoy a colourful mix of online slots, video poker, roulette, baccarat, poker, and blackjack games. The catalogue of games is truly spectacular – more than 800 games, many of which have stunning animations, special features and excellent bonuses. Kaboo Casino is not just visually striking – it is one of the most entertaining and innovative online casinos out there. While playing, patrons can complete missions and receive rewards, usually in the form of free spins on select games. There are also plenty of tournaments you can take part in. The games can be accessed from any PC, Mac, or mobile device, so you do not need to download any special software. However, trying most of the games even in practice mode requires registration, while some of the games are not available in all countries. The rich selection of around 700 slots would appeal to all slots fanatics – there is hardly a popular game that you will not be able to find in Kaboo Casino. There are plenty of classic 3-reel slots for those who love the old-school look and feel of vintage fruit machines. But the online casino definitely puts the focus on newer, modern video slots with improved graphics and overall better gaming experience. Within this category, you can find almost everything – fantasy slots, adventure, action and horror, animals, fairy tale-inspired slots, slots based on movies and books, etc. Some of the most popular video slots from NetEnt could be played at Kaboo Casino – Gonzo’s Quest, Starburst, the FairyTale Legends slot series, and many more. The lobby also hosts hit titles such as Immortal Romance, The Book of Ra, Vikings Go Wild, The Big Bad Wolf, Neon Staxx, Avalon, Tomb Raider, and Game of Thrones. 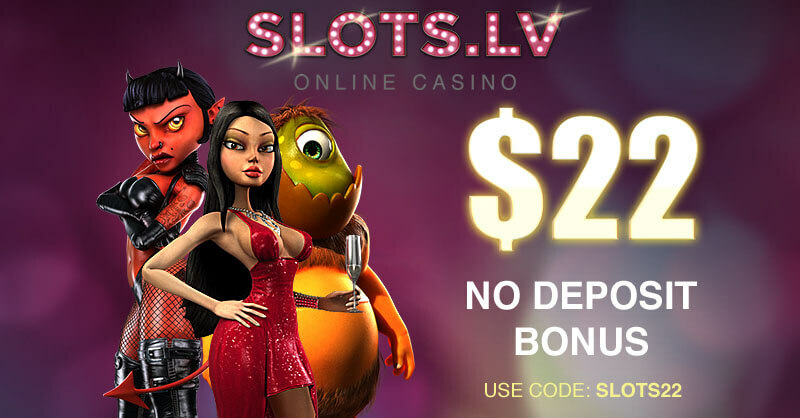 Many of the games feature special symbols, bonus rounds, free spins, and even bonus games that are more similar to video games than to regular slots. There are also 3D slots, animated games with great characters, realistic sound effects and amazing soundtracks. 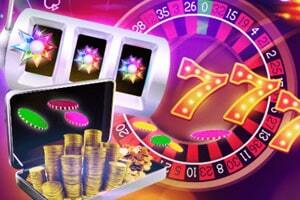 Kaboo Casino also offers its members a nice selection of roulette games by several different providers. They are all within the Table Games category where you can choose from more than 60 classic casino games. 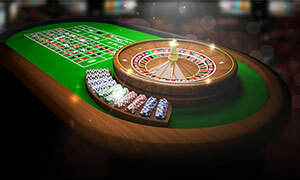 There are several Microgaming roulette variations such as European Roulette standard and Golden Series, Premier Roulette and Premier Roulette Diamond Edition. You can also play NetEnt’s American Roulette or European Roulette by Play’n GO. Several versions by IGT are available, including 3 Wheel Roulette, Double and Triple Bonus Spin Roulette. When choosing the best roulette variation, players need to consider several things – the game should a good design and an appealing appearance, a wide betting range, and rules that reduce the house edge. French and European roulette games, for example, have a single zero on the wheel, which gives a small but important advantage to the player. American-style roulette wheels, on the other hand, have two zeros, so the house edge there is greater. In addition, some software studios such as Microgaming publish the RTP percentages of each game they release. The Return to Player or RTP represents the amount of wagered funds that you will eventually get back in the form of winnings. Players should take this RTP percentage into account when choosing a game to play. The collection of blackjack games in Kaboo Casino is even bigger and players can opt for some standard versions or some more interesting alternatives. Whatever they choose to play, however, they should prepare well and make sure they know at least the basics of this popular game. Also known as Twenty-One, the game has been played for centuries and unlike roulette games or slots, where you rely solely on your luck to win, here you need skills and experience. Once you know the rules and at least some basic strategy, you should pick a simpler game of blackjack such as Single Deck Blackjack by Play’n GO. Once again, Kaboo Casino offers a nice range of blackjack versions from several software providers and some of the most popular titles include Vegas Strip Blackjack, Spanish 21 Blackjack, Double Exposure, and Atlantic City Blackjack. Many of the games feature standard betting limits, but there are also several low and high-limit games. Just like blackjack and poker, video poker is a skill-based casino game, although a big part of your success here would depend on sheer luck. Still, the different video poker variations available at Kaboo Casino come with higher RTP percentages than slots, for instance. In fact, you can significantly minimize the risk of losing by using strategies that can be found on the Internet. Before starting to play this game, you should also look at what each software provider has to offer. The video poker versions at Kaboo are supplied by multiple studios, so they are quite different, with some having quite simplistic, basic graphics, while others boasting great visual effects and fast gameplay. You can try simpler versions such as single-hand Jacks or Better Deuces Wild or test your skills with more exciting variants of video poker such as Aces and Faces Power Poker or Double Bonus Poker. 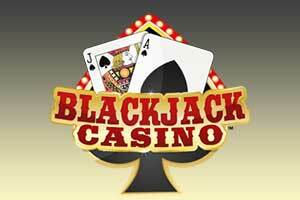 Other titles include Aces and Eights, Double Double Bonus Poker, Tens or Better, and Game King Jacks or Better. There are several extremely popular games that can be played at Kaboo Casino and they are all grouped together in the Jackpot gaming category. They are completely different from each other and were created by various gaming studios, but they do share one thing – they all feature attractive progressive jackpots. In some cases, the jackpots are worth millions and can make you extremely rich in just a few spins. All the best progressive jackpot slots can be played at Kaboo – Hall of Gods, Mega Moolah, Mega Moolah Isis, Mega Fortune, Riches of Ra, King Cashalot, Enchanted Crystals, Divine Fortune, and many others. The online casino offers more than 15 progressive jackpot games where the jackpot starts from a certain amount and then, it increases with every bet placed by casino players. These are pooled jackpots that are “fed” by networked casinos, so often, the jackpot rises really quickly. 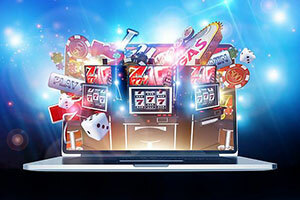 While the top prizes in such slot games are, indeed, very tempting, players should take some risks into consideration before deciding to invest in progressives. Usually, in order to be eligible for the jackpot, you need to bet the maximum amount of coins, which means you will wager more money on every single spin. This way, you risk losing your entire budget in no time. Usually, the largest and most prestigious online casinos try to offer not only digital casino games but also good Live Casino sections. And this is where Kaboo Casino really excels, providing its customers with a stunning collection of over 60 top-quality live dealer games. They are powered by sophisticated software by some of the leaders in the development of casino games today such as Evolution Gaming, NetEnt, and Play’n GO. Most of the titles in the Live Casino section are provided by Evolution Gaming, a Riga-based company which focuses on the creation of live dealer games. It streams the games from its two state-of-the-art Live casino production studios in Latvia and Malta and offers a wide range of tables with flexible betting limits. Registered players at Kaboo Casino have the opportunity to play various live roulette, blackjack and baccarat games. There are also several poker versions, including Ultimate Texas Hold’em, Three Card Poker, Caribbean Stud, and Texas Hold’em Bonus Poker. Football fans can also try Evolution Gaming’s Live Football Studio, which combines a simple gambling card game with live football comments. The company rolled out the game just in time for the World Cup in 2018 but the matches are not streamed in-game. But you can still enjoy the unique approach of the commentators from Evolution’s Live Football Studio. Who can play at Kaboo Casino? All players, who are of legal gambling age and are domiciled in a country where online gambling activities are legal are more than welcome to become part of Kaboo’s gaming community and register real-money accounts. Unfortunately, due to legal restrictions players from certain countries are prohibited from opening accounts at the casino. Some of the restricted countries include the USA, Denmark, Belgium, Portugal, France, Spain, and Russia. Yes, Kaboo Casino enjoys an excellent reputation among players for its fair and time-efficient withdrawals. However, unlike deposits, withdrawals are not processed instantly since players are required to go through a verification process to confirm their identity. Also, how quickly you receive your winnings depends on the payment solution you use to cash out. Withdrawals processed via e-wallets typically go through 24 hours after the cash-out has been requested. Cashing out via bank transfers and credit/debit cards takes three to four business days to complete. Is it safe to deposit and play at Kaboo Casino? Kaboo Casino is a 100% secure gaming destination as the operator utilises the latest encryptions to encode its players’ personal and financial information. Only the most reliable and secure payment methods are accepted at the casino. These include widespread credit and debit cards by Mastercard and Visa, popular e-wallets like Skrill and the standard bank transfers. Deposits are typically processed immediately and do not involve fees on behalf of the gambling operator. However, players are recommended to consult their bank or payment services provider in advance to become better acquainted with their policies concerning transaction charges. I’m glad I registered at this casino a couple of weeks ago. The games are great and work perfectly even when I open them from my smartphone, the multiple payment methods are convenient, and the site is generally very safe, fair and reliable. But most all, I’m happy because I won big for the first time – a little over £8,000 on roulette and blackjack. I know it’s almost petty cash for some players, but I’ve never made so much while having fun. I had to submit identification documents and a copy of my card so that the casino could verify my account. This process took approximately 12 hours and yesterday my winnings were transferred to my debit card. The only thing this casino could improve on is the customer support – these guys are a bit slow when you try to contact them via the live chat. This casino does everything differently from the rest of the gambling sites and this is exactly why I like it so much. Instead of giving new players free spins, it gives them Echoes, which are something like casino credits that are worth £0.10 each. 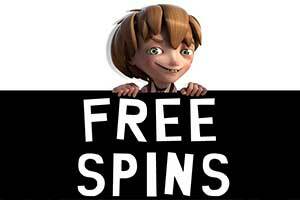 And you can use them to “buy” free spins or you can simply exchange them for bonus cash. There are also Missions and if you complete them successfully, you receive more Echoes. And the best thing is that the winnings from them are wager-free, so you have the opportunity to earn extra cash, no matter whether you are winning or losing at the games. Speaking of games, there are tonnes of popular titles like Thunderstruck II, Starburst, Avalon II, and many others. My only complaint is that some of the roulette games don’t load or crash in the middle of the round. Kaboo is one of the most entertaining online casinos I’ve visited. It’s also completely legitimate and safe, payouts are reliable, and customer service, even if a bit slow, is really helpful. There are great bonuses for new players (100% match for the first and the second deposits), as well as free tokens given by the casino which are called Echoes. What I really love about this casino, however, is the game collection where you can play games from many different providers like Play’n GO, NetEnt, Quickspin, Microgaming IGT, WMS, etc. The lobby is organised very well and you can sort games via different filters or select only particular categories. I only wish they told me about the verification procedure sooner - because of it, my withdrawal was delayed significantly. I found this online casino just a few weeks ago and so far, I’m more than happy with it, as it offers a great variety of games and fast payments. The site has great looks and I love the modern, sci-fi theme and the missions. I first deposited £30 and the casino doubled it with a bonus, adding also 50 Echoes. These can be exchanged for free spins or bonus money and 1 Echo is equivalent to £0.10. While the bonus had to be wagered 35 times, the winnings from the free spins had no wagering requirement, which was great, because I won only £16 with them. Meeting the wagering requirement wasn’t very easy, but I managed to do it and in the end, I had almost £60 in my balance. After the second deposit, they gave me another 100% match and another 50 Echoes, but this time I lost almost every penny. I can’t always win, this is gambling after all, but my time in this casino was really enjoyable.